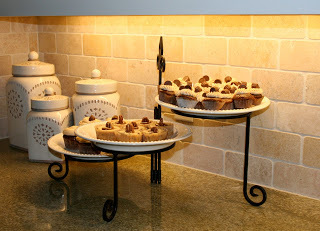 Erin and Mike had a Christmas party at their house last night and I made a few desserts. 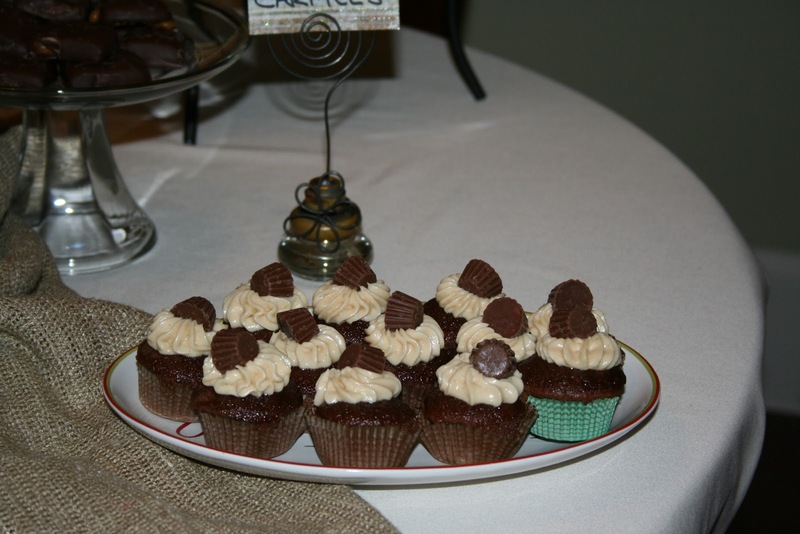 The best one and easiest was a chocolate cupcake with a Reese’s peanut butter cup in the middle with a fluffy peanut butter icing on top. I made them in mini muffin pans. I got the idea from Dani who had one from a cupcake store. 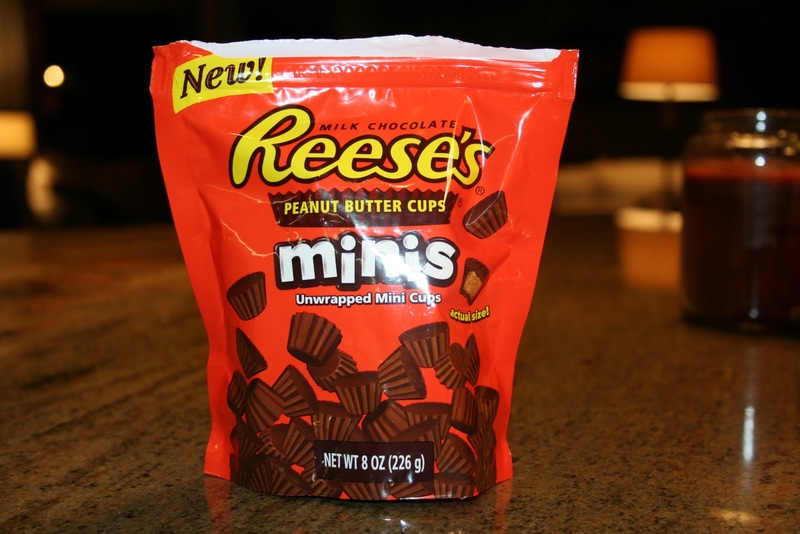 I ran across new mini Reeses peanut butter cups, unwrapped in a bag. I think it is a new product. It was on an end cap, so I would assume they would be in the candy aisle, but maybe in the baking section with the chocolate chips. I will try to attach a picture of the bag. 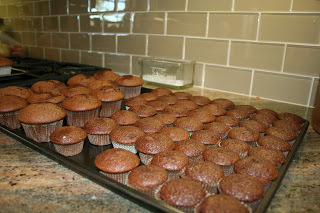 You could use the regular ones if you can’t find the minis but you would need to just make full size cupcakes. Line mini muffin tin with mini cupcake papers. Makes about 60. I made 48 minis and finished with a few full size. 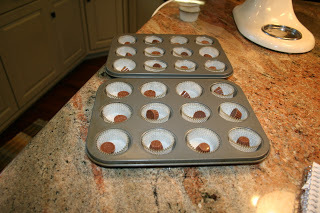 Place a mini Reeses peanut butter cup in the middle of each muffin cup. Spoon cake batter over each. Filling almost to the top. Bake 350 degrees for 9 minutes, 30 seconds (to be exact, haha) Or 17 minutes for a full size cupcake. Mix together with an electric mixer, add milk 1 TBSP at a time. Whipping between each until light and fluffy. Use 3 to 4 TBSP. Frost cooled cupcakes and top with a mini Reeses peanut butter cup. Yeah~~~ this is the first time I have added photos on my own. I usually ask my girls to do it for me, but I decided to try it myself. I don’t know how to move them around yet, but I will figure that out next time!